Just over 2 months into the full recording phase and both teams are progressing well with in excess of 50 carvings having been recorded. The Blue Team completed recording in the Bingley Moor / East Morton area in November and have now moved onto the clusters around Green Crag Slack (above the Cow & Calf). 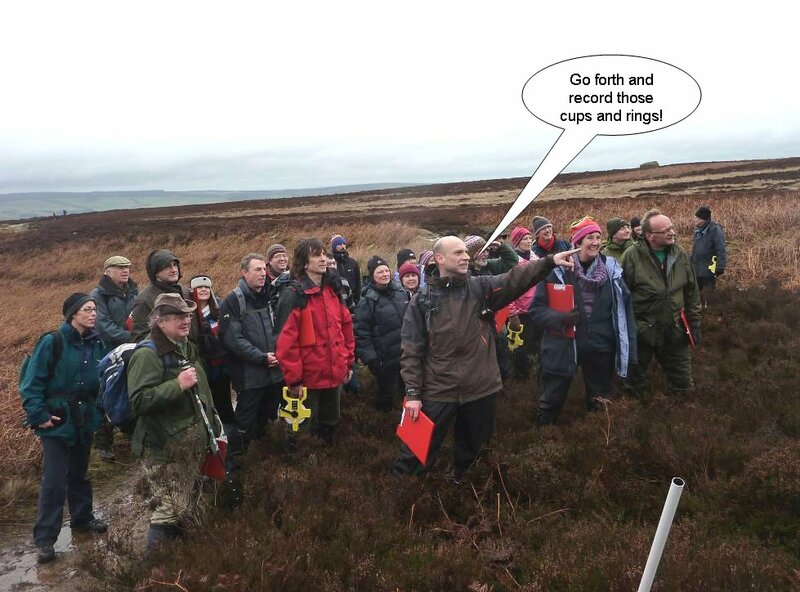 The Red Team, recording at the weekend, were unlucky to encounter several sessions where either the wind or rain curtailed recording, and were blown off the moor onto lower reaches around Stead. 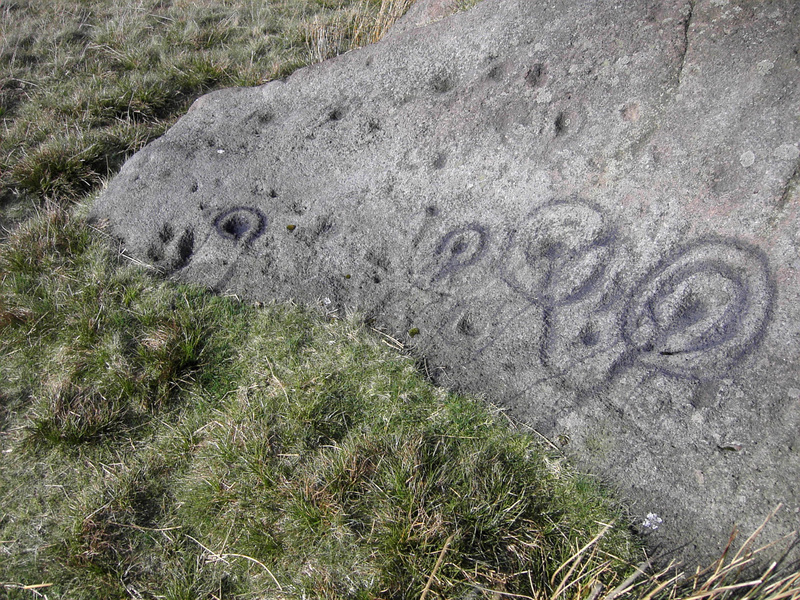 However, this hasn’t prevent them from making good inroads into the masses of carvings around Burley Moor. One of the surprises so far, is the number of new carvings (to the record) that have come to light. These new finds consist of mainly debateable single cups, but their locations amongst other more definite carvings may lend weight to them being artificial. After a spot of refresher training and with some improved recording forms and crib sheets, the CSI volunteers embarked on the main phase of recording this week. The practice sessions and trials are now finished – this time it’s for real as the Blue Team and the Red Team start to tackle their respective assignments. The 400 plus carved stones that fall within the Watershed Landscapes area have been divided into blocks to help manage the work, and to ensure that those areas affected by the nesting season can be avoided at crucial times. The Blues will begin in the East Morton/Bingley Moor area, with the Red Team heading for Burley Moor/Hawksworth Moor. After receiving their assignments the CSI Agents enjoyed presentations from two rock art experts. 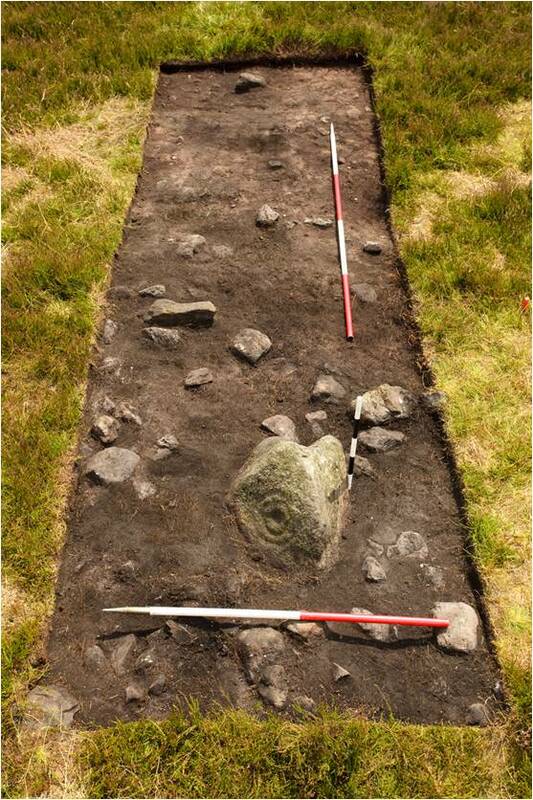 Dr Keith Boughey explained how work by volunteers (including some CSI team members) in the Stanbury Hill area had begun to revealed new information (and new rock art), providing a better context and understanding of prehistoric activities there. 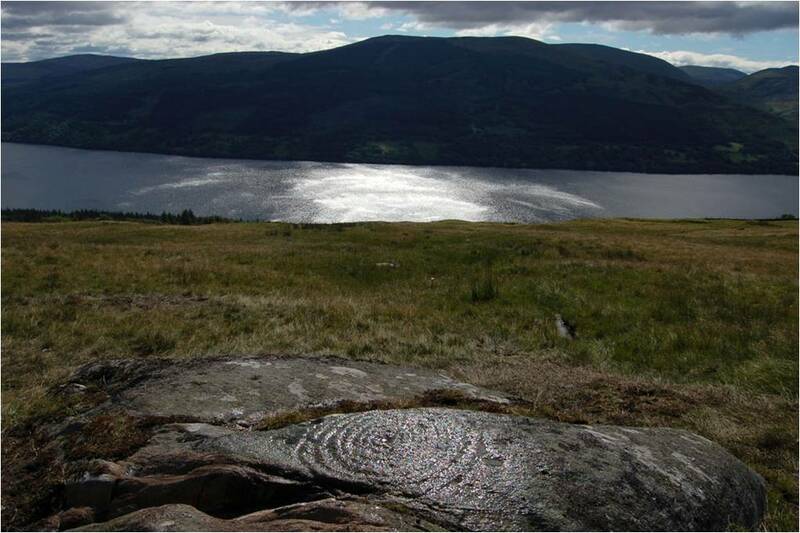 Dr Aaron Watson followed, encouraging everyone to think in new ways about how we explore and represent prehistoric sites with thought giving to light, sound, and texture; he illustrated these approaches with some stunning imagery from excavations of rock art panels at Ben Lawers on the banks of Loch Tay in central Scotland. Yet another mindless act of criminal destruction is reported in the Ilkley Gazette this week (see Press Coverage). 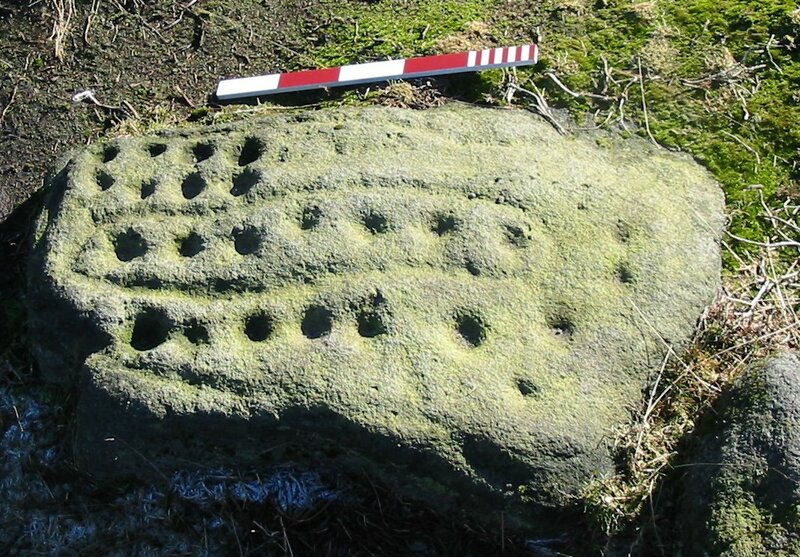 This time the iconic Idol Stone with its intriguing lines of cup-marks and enclosing grooves was daubed with black dye. Another good reason to record these precious rocks for posterity. In true CSI style, Blue Team members Mike Short and Dave Spencer have developed a ‘new and improved’ high tech method of generating location sketches (this being a key part of the recording process). They used Google Earth images corresponding to known grid squares and corrected or ‘flattened’ them using Photoshop. These rectified images can then be used to create accurate base maps for use in the field, where additional features (rock art, for example!) can be added. The new approach has been officially adopted into the project methodology and Mike and Dave are now planning a demonstration for other CSI Field Agents. ﻿﻿﻿Don’t forget that this Saturday, 9th April is the Conference for Heritage in the South Pennines, held at Hebden Bridge. More details and booking form available here (pdf file). On Saturday we all got together to reflect on the training so far, and sort out any problems and concerns. We started with a quick brainstorm/post it frenzy thinking about things enjoyed, things not enjoyed, things learnt, and things still unclear. Happily there seemed to be more positive stuff than negative – and I’m afraid the ‘lack of toilet facilities on the moor’ isn’t something we can easily remedy! Hopefully all the questions raised were adressed, and we indulged in a bit of quizzing with that well known format ‘Who Wants to Be a Rock Art Recorder?’ resulting in a few smiles (although sadly no cash prizes). You can download the quiz from the Volunteer Info page if you’d like a go! The afternoon was spent preparing for the next stage of the project: the Trial Recording Phase. This will give everyone a chance to put what they’ve learnt into effect. 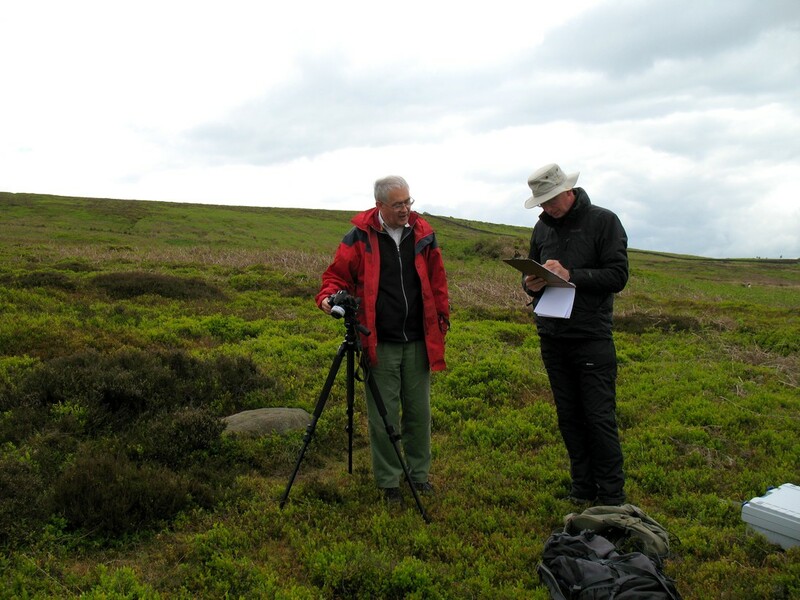 Over the next two months our intrepid volunteers will be recording 20 panels – a trial run so they can get used to working together, and develop their skills as surveyors, writers, and photographers. 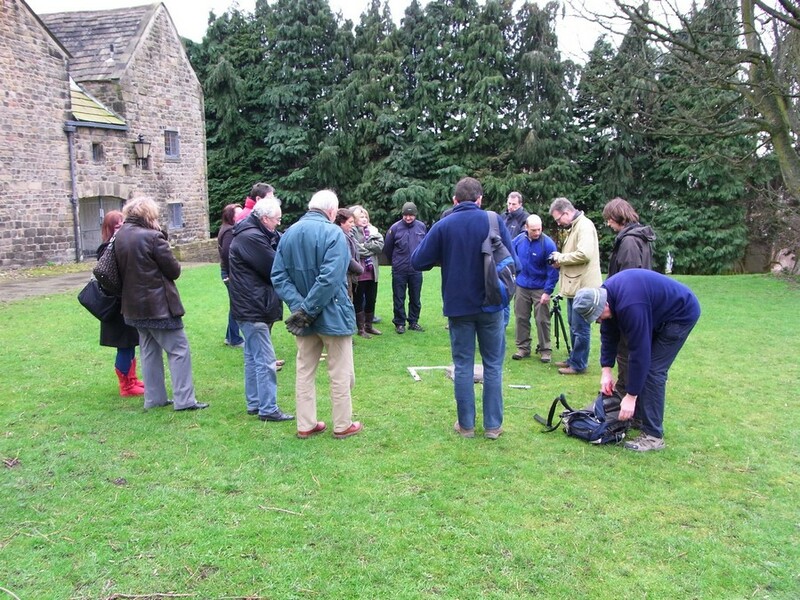 Volunteers got their heads buried in one of the projects most technical aspects at the Manor House in Ilkley on Saturday 26th March. The day covered the ins, outs, do’s and don’ts of capturing the stereo photography that will enable 3D models to be created during the project. Base / height ratios, convergence, divergence, shadows and many other great names for pop bands were discussed throughout the day. Look out for 3D models soon!! 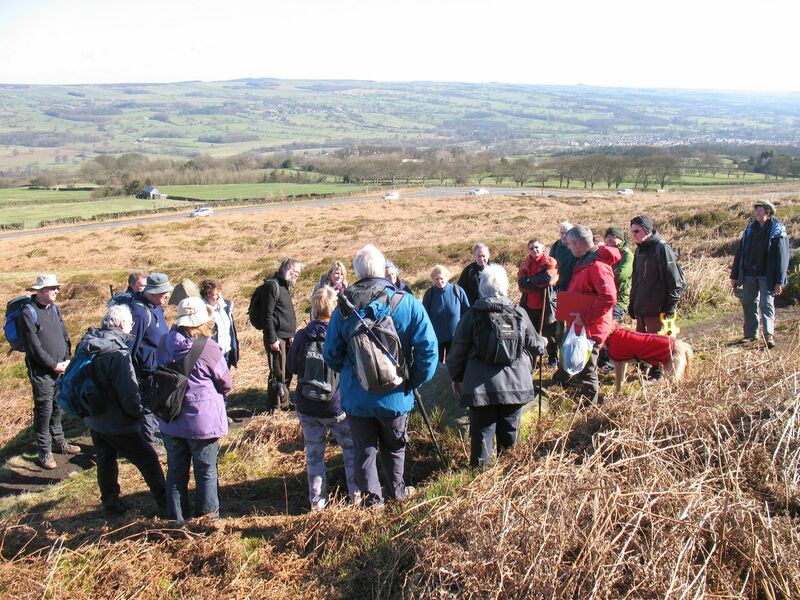 On Friday 18th March, Al Oswald a Senior Investigator from the Archaeological Survey & Investigation Team at English Heritage in York, led the volunteers on a tour of various features around the Pancake Ridge and Backstone Beck areas of Rombalds Moor. ‘Lumps and bumps’ to coin a Time Team phrase will never be the same again. On Saturday 5th March, volunteers finally managed to get their hands on some of the project equipment, when the Photography Training took place at the Manor House in Ilkley. This well attended event covered the imagery to be taken, lighting conditions and basic camera use. Everyone should now be ready to get snapping, so watch this space for some great rock art pics, and maybe a few action shots too!